Healthy sleeping is crucial for body functioning, mind, mood and general health. Every adult should sleep about 7-8 hours during night (deep and not interrupted). 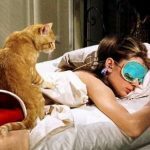 Unfortunately many people have sleeping difficulties – it can be caused by several factors including bad eating and drinking habits, bad sleeping environment and wrong sleeping position. According to health experts, sleeping position can affect not only mood but also health indicators. Wrong sleeping position could cause back and neck pain, headaches, fatigue, sleep apnea, impaired circulation, muscle cramping, heartburn, tummy troubles and even premature wrinkles. There is not only one best sleeping position for everybody. Each person should choose the nest sleeping position according to its habits and health conditions. Each sleeping position can be good for one person but wrong for another person. 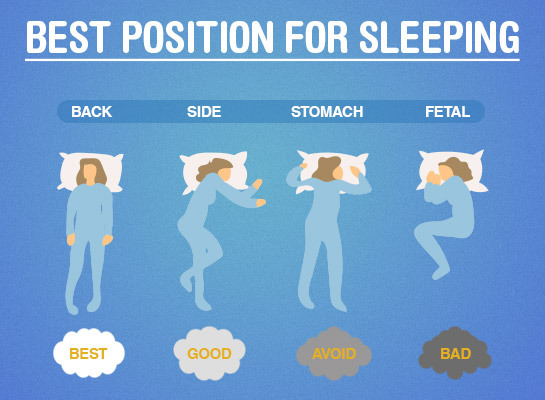 Best sleeping positions are introduced by ranking – from best to worst. Sleeping position on back is comfortable for head, neck and spine (keeping it in a neutral position). Sleeping on back is excluding any extra pressure or curves on the back. This sleep position is ideal for warding off acid reflux. In cases of sleep apnea, snoozing on the back can cause the tongue to block the breathing tube, making it a dangerous position for those who suffer from sleep apnea. On back sleeping can make snoring more severe. On back sleeping is not very popular – only about 7-8% people sleep on back. On side sleeping is beneficial for people who have obstructive sleep apnea, prone to general snoring, neck and back pain. On side sleeping keeps spine elongated and it wards off back and neck pain. At the same time, on side sleeping helps decrease the acid reflux. As on side position keeps airways open, it is the best for snoring people. For the same reason, this position would be recommended for people with sleep apnea. In side sleeping is the best for pregnant women. Sleeping on side could cause unpleasant skin aging – triggering face wrinkles (on one side) and leading to saggy breasts. Wrinkles appear on one side of face because half of the face pushes against the pillow. On side sleeping is pretty popular – about 15-16% people sleep on left or right side. Fetal sleep position could be very comfortable but after some time it could lead to neck and back pain, wrinkles and saggy breasts. Fetal sleep position may cause a strain on the back and joints, especially when knees and chin are tucked into the chest. This sleep position can be beneficial for snoring people. 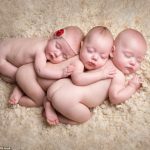 Fetal sleep position is most popular among pregnant women because it improves circulation in the body and in the fetus as well as prevents uterus from pressing against liver, which is on the right side. Pregnancy pillows make this position very comfortable by placing the pillow between knees. Left side fetal position can cause stress on some vital organs such as liver, stomach and lungs. Right side fetal sleep position would be more preferable. 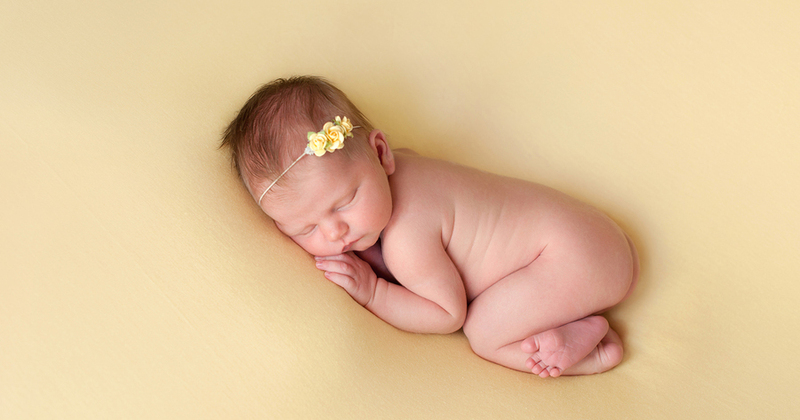 Fetal sleep position is the most popular – about 42-43% people feel comfortable sleeping in fetal position. Sleeping on stomach is not recommended because this sleeping position doesn’t support the natural curve of the spine, leading to overarching – putting pressure on joints and muscles. It could trigger pain, numbness, tingling, aches and irritated nerves. Sleeping on stomach could be recommended to snoring people because this position helps keep the upper airways more open. This position should be avoided by people with neck and/or back pain. 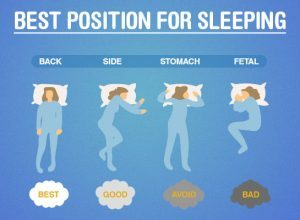 Sleeping on stomach position is not healthy and less popular – about 6-7% people sleep on stomach. Starfish sleeping position can be beneficial for back. It can also prevent facial wrinkles and skin breakouts. Starfish position can combat acid reflux. Starfish position can cause snoring. Only 5% people sleep in starfish position.